The John Deere 8870 is a row crop tractor first introduced in 1993. 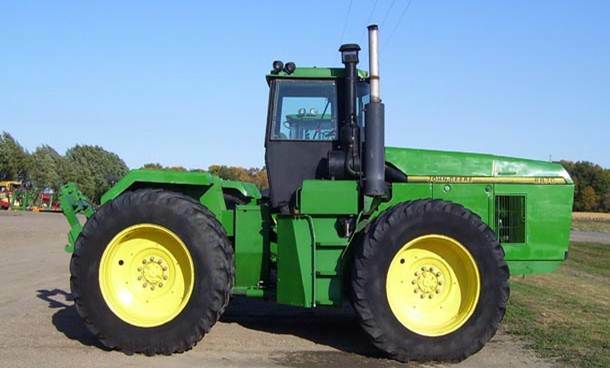 It was a new model in the 70 Series and one of the more powerful tractors of the four that were introduced at the time. The John Deere 8870 is designed for hilly terrain and adaptability should you find yourself dealing with rough field conditions. We hope you enjoy the following information and accompanying image gallery for the 8870! The 8870’s 6 cylinder engine with 350 horsepower gives the machine its oomph; what’s more, it’s a turbocharged after cooled diesel engine. Since hot air is thinner and can’t burn as much fuel, the cooler air can efficiently burn more fuel, ultimately making the engine produce more horsepower. The 8870 also has a partially synchronized transmission meaning you do not need to bring the tractor to a full stop in order to switch gears. A much more flexible system than a non-synchronized transmission (which requires stopping), the 8870 is also less expensive than a hydrostatic transmission, which is similar to an automatic car. 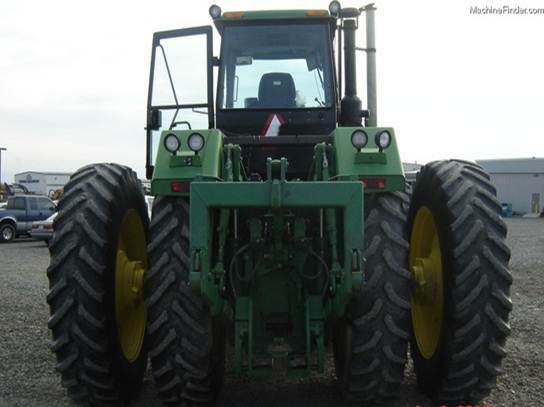 The 8870 also comes with dual tires with a 134 inch wheelbase, useful for allowing greater pulling power and adding to the overall strength of the machine. Much like other Deere products, this machine is no exception when it comes to compatibility with attachments. Adding attachments can transform the 8870 into more than just a row crop machine! This machine has a good deal of power behind it. 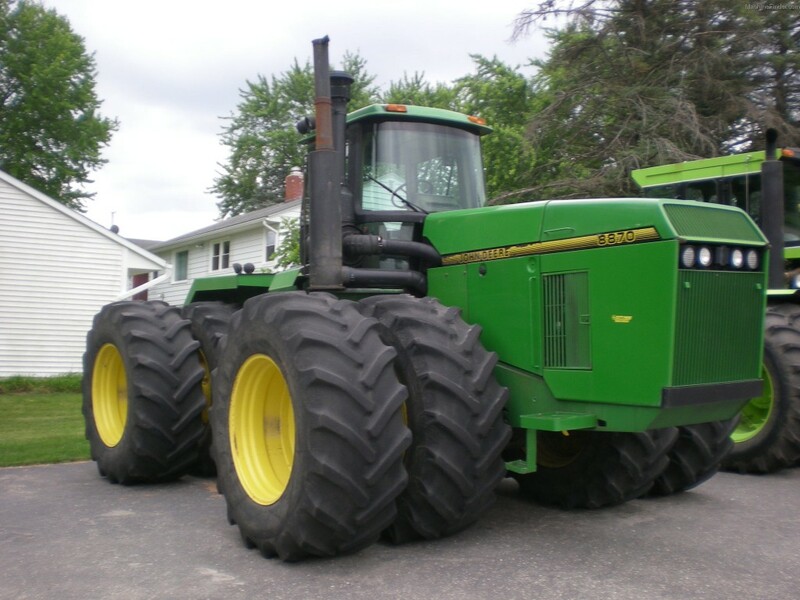 Apart from the 6-cylinder turbocharged after cooled engine, the dual (sometimes even triple) tires, and a range of transmissions to choose from, this is a machine that can also exert a staggering amount of power and efficiency when dealing with farming land. 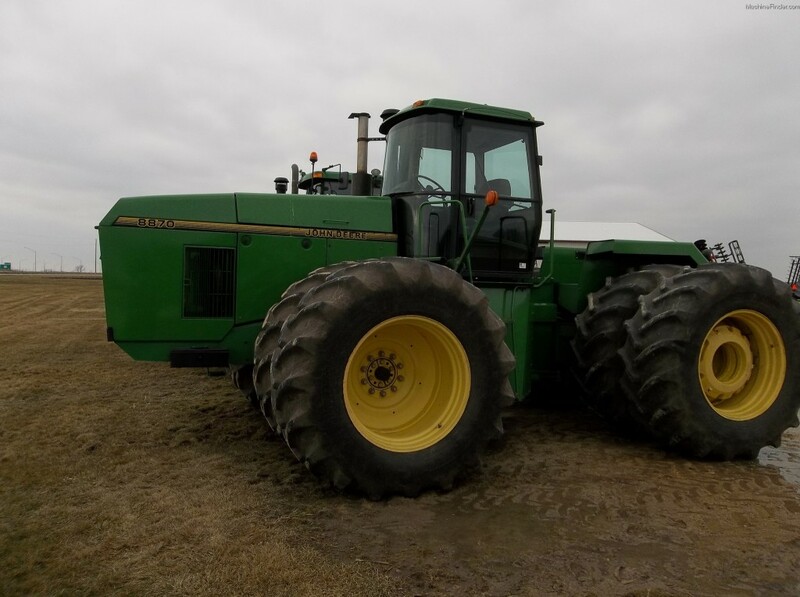 So if you’re looking for a machine that can handle a wide variety of terrain and working conditions, the John Deere 8870 is for you.